Clean Fairfax produces SpringFest with our partner Fairfax County Park Authority. Free admission. 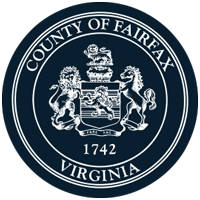 * SpringFest Fairfax grows every year with an attendance of over 5,000 residents and we hope you’ll celebrate with us on Saturday, April 27, 2019 at 10:00 am – 4:00 pm at The Sully Historic Site. This is Fairfax County’s official Earth Day and Arbor Day event. More information. Park Authority, workshops, vendors, and activities to help us take action to make a “Healthy Planet-Healthy People.” Learn about the great work our County Parks do, pet an alpaca, run through an environmental obstacle course, participate in environmental crafts, check out the bees and the trees, consult with Master Gardeners, buy plants for your garden, and MORE! Over 75 vendors, exhibitors, and food trucks will be at SpringFest.